Our Youth Service provides 16 – 24 year olds not in education, training or employment with tailored support to gain new skills, qualifications and employment. Stepping Stones NI is part financed by the European Social Fund and the Department for the Economy. I love the Youth Service! It’s fun, I’ve made new friends, learnt new things and built my confidence. The activities and outings have really boosted my self esteem. Our team are experienced at supporting young people to overcome barriers. We understand the challenges with having Autism, ADHD, Dyslexia, a learning difficulty or learning disability and we are here to help you take your next step forward. We see the opportunities for you and we will support you on your journey to a bright future in a fun and enjoyable way. 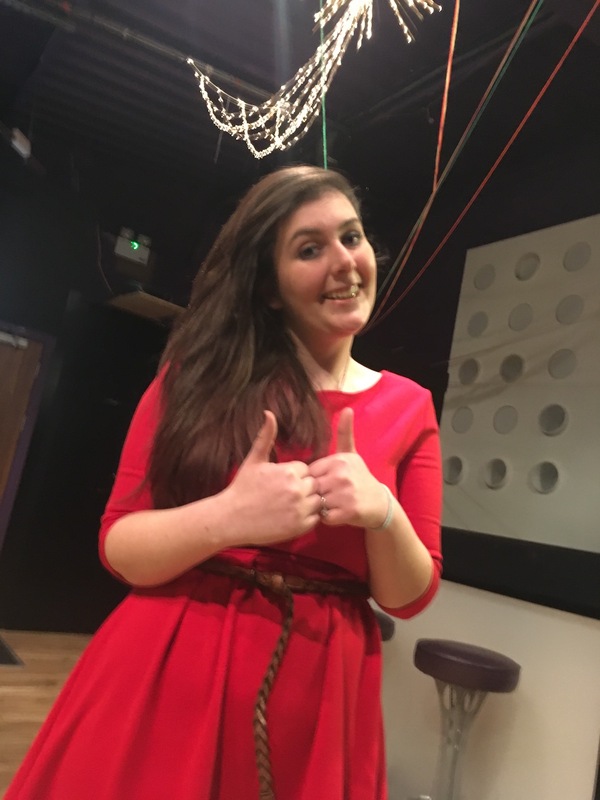 Our young people tell us that involvement in our Youth Service has helped them to become more independent, meet new friends and given a boost to their self-esteem. Our Youth Service is part funded through the Northern Ireland European Social Fund Programme 2014 – 2020 and the Department for the Economy. Our award winning Youth Service provides 16 – 24 year olds with the opportunity to meet new people, learn new things and build confidence for an exciting future. Our team are experienced at supporting young people to overcome barriers. We understand the challenges with having conditions such as Autism, ADHD, Dyslexia, a learning difficulty or learning disability. We see the opportunities for you and we will support you on your journey to a bright future in a fun ad enjoyable way. We support young people to develop new skills, confidence and independence. We see our young people progress through involvement in our Youth Service with participants, parents and carers telling us the big difference our team make to young people’s lives. Confidence and self esteem can be very important factors when gaining new skills and becoming more independent. Our staff will work with each participant to develop and improve their confidence and self esteem in preparation for their progression. Our Youth Service team are passionate and committed to getting the best out of our participants. We get to know our young people and the challenges and barriers they face and help to equip them with the skills and qualities needed to progress on to further education, training or employment. You will achieve this through one-to-one mentoring and group activities. Our goal is to get the best out of you! Our young people are encouraged and supported to try out new job roles through work tasters and placements. It isn’t always easy to think about what job you would like to do and so having the opportunity to try out different job roles can help you decide. We have great links with employers and will support you to start and complete a work taster or placement. Further support is available to apply for jobs and attend interviews. We will stay with you through every step. Our Youth Service offers up to 5 days of activity that includes group work, team building, accredited and non-accredited training as well as work tasters and work placements. We want to support you to reach your full potential and we know that your confidence and social skills will develop by meeting new people and engaging in enjoyable activities. We create experiences and opportunities that will challenge, you and help you develop problem solving skills. We enjoyed boxfit, bowling, gardening, kayaking to name but a few. We have also transformed a community space and went all the way to London to pick up an award or it! "Hi I’m Rebekah, I’m 20 years old and live in Lisburn. I have been attending the Youth Service at Stepping Stones NI for almost a year. I just want to let other young people know how it has changed my life! I wanted to get a job in childcare when I left school and went onto a training programme with an agency. I just did not feel happy on this course and did not feel it was the right place for me. I was diagnosed with ADHD at a young age and I have always struggled with my confidence. 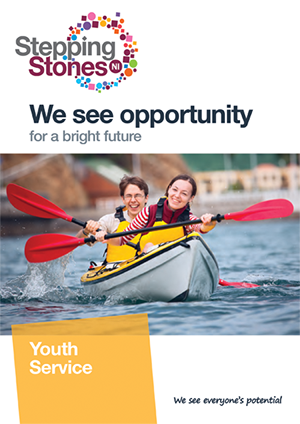 Someone suggested I take part in the Stepping Stones NI Youth Service because I did not know what to do next. I haven’t looked back since I joined. It’s such an amazing place to be part of. I’ve made new friends, learnt new things and built my confidence. The activities and outing have really boosted my self esteem. The team are helping me put a plan together to get a job in childcare. I feel supported and believe in myself more. I would recommend the Youth Service to any young person who feels there are barriers to them achieving their dreams.